Bath Ales has unveiled a new format for its popular Special Pale Ale, now available in 330ml size bottles, to tempt lager drinkers into the premium bottled beer category. Released to cater for drinkers looking to make the transition from lager to ale, the smaller bottles are more familiar and accessible for people looking to try something a bit different. 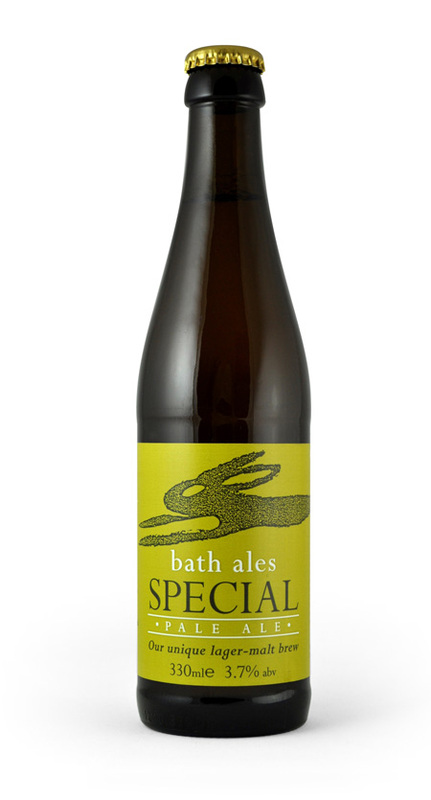 This is the first time that Bath Ales’ Special Pale Ale has been bottled – previously it was available in draught for on-trade outlets as well as in microcasks for those who prefer to enjoy a tipple at home. Mark Harding, sales director for Bath Ales, said: “This is the first time we’ve bottled our Special Pale Ale and there has already been a lot of interest from consumers and customers. All Bath Ales beers are well-matched with certain foods, and the Special Pale Ale is exceptional with seafood and spicy foods such as Indian, Oriental or Cajun dishes. Mark continued: “These new bottles are already proving popular with our on-trade outlets and we’ve seen high demand across the South West. A smaller bottle is often a popular choice at lunchtime and the low alcohol percentage of the beer (3.7%) makes our Special Pale Ale the perfect accompaniment with food. The Special Pale Ale bottles can currently be found in selected off-trade locations across the South West as well as in a wide range of pubs and bars. Microcasks and a 20 litre special beer box can be purchased in the Bath Ales brewery shop or online via www.bathales.com.